Through a succession of algorithmic evolutions, SEO has also remained the foundation of a successful digital strategy – 51% of online traffic arrives at websites via organic search, after all. Still, we must take stock of the fact that SEO requires new skills and approaches to succeed in an increasingly competitive world. With more than 5,000 devices integrated with Google Assistant and voice search on the rise, the focal points of search have become decentralized. The SERP as we knew it is long gone; search is dynamic, visual, and everywhere now. This has a very significant impact on organizations, as SEO is a collaborative discipline that requires a synthesis of multiple specialisms to achieve optimal results. At the heart of this lies the domain of technical SEO, which has remained the foundation upon which any successful strategy is built. All roads lead back to technical – it’s how you now use your skills that has changed. SEO has always entailed driving high-quality traffic through organic search. The means of achieving this goal have altered significantly since the early days of SEO, when technical skills were dominant. Crawlability was then – as it is now – a foremost consideration when setting up an SEO strategy. Content was secondary – a vehicle to include keywords and improve rankings. This evolved over time to encompass link building, based on Google’s key early innovation of using links to evaluate and rank content. The goal of marketers remained constant: to attract organic search traffic that converted on their website. As a result, we endured a cat and mouse game with some marketers doing whatever it took to gain high search rankings. As soon as Google caught up with keyword cloaking, black hat SEO practitioners moved on to link buying in an attempt to manipulate their rankings. The Panda and Penguin algorithm updates put paid to a lot of those murky tactics and even (briefly) raised the discussion of whether SEO was dead. This question missed one key point. As long as people are using search as a means to discover information, SEO will continue in rude health. Those discussions are a distant memory as we embrace modern SEO, especially its convergence with content marketing. The industry has gone from strength to strength and the best strategies are now justly rewarded with increased search presence. In the process, SEO has moved from an entirely rational discipline to something more rounded, including the typically “right-brained” domain of creative content. This has changed the shape of SEO departments and demanded collaboration with other digital marketing departments. Technical SEO, for its part, now encompasses all search engine best practices and allows no room for manipulation. This specialism never went away, but it has seen a recent renaissance as senior marketers realize that it drives performance as well as crawler compliance. Site Content: Ensuring that content can be crawled and indexed by all major search engines, in particular making use of log file analysis to interpret their access patterns and structured data to enable efficient access to content elements. Structure: Creating a site hierarchy and URL structure that allow both search engines and users to navigate to the most relevant content. This should also facilitate the flow of internal link equity through the site. Conversion: Identifying and resolving any blockages that prevent users from navigating through the site. Performance: A key development has been the evolution of technical SEO into a performance-related specialism. This has always been the case, but marketers of all stripes have realized that technical SEO is about a lot more than just “housekeeping.” Getting the three areas above in order will lead to better site performance through search and other channels, too. Within this context, it is worth questioning whether “SEO” is even an adequate categorization for what we do anymore. The term “search engine optimization” is arguably no longer fit for purpose, as we extend our remit to include content marketing, conversion rate optimization, and user experience. Optimizing the site for users. Ensuring accessibility of content for all major search engines and social networks. Creating content that engages the right audience across multiple marketing channels. 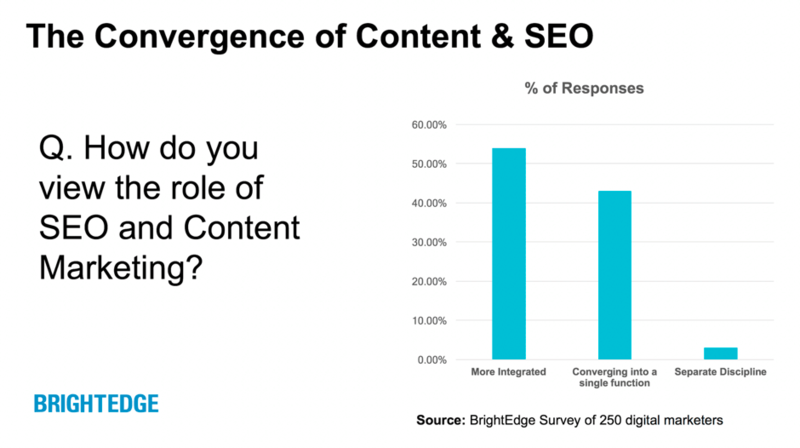 According to BrightEdge research, only 3% of 250 marketers surveyed believe SEO and content are separate disciplines. We should therefore be looking at this set of skills as site, search, and content optimization – especially as the role of a search engine continues to evolve beyond the 10 blue links of old. Our responsibility is to get in front of consumers wherever they are searching, which is an ever-changing set of contexts. This would be a more fitting depiction of a marketing channel that plays an increasingly pivotal role in digital and business strategy. After all, when major technological trends develop, technical SEO pros are often at the forefront of innovation. This looks set to be further entrenched by recent industry developments. Now that Accelerated Mobile Pages (AMP) and Progressive Web Apps (PWAs) are center stage, brands must ensure that their web presence meets the highest standards to keep pace with the modern consumer. Being “mobile-first” has big implications for how we engage our audiences, but it is also a technological consideration. PWAs will soon be coming to Google Chrome on desktop, which is a further manifestation of the “mobile-first” approach to site experiences that we all need to adopt. It would be hard to argue that these fit uniquely under the remit of ‘Search Engine Optimization’, and yet it is likely SEO pros that will lead to change within their respective organizations. Brands need to think beyond search engines and imagine the new ways their content could – and should – be discovered by customers. A different approach to SEO is required if we are to tap into the full potential of emerging consumer trends. That approach should expand to include site experience optimization, as well as traditional SEO techniques. There are plentiful new opportunities for those who adapt; a process that can be accelerated by creating a collaborative working environment. However we choose to label it, it should be clear that SEO has never existed in a vacuum. From its early symbiosis with web development to its latter-day convergence with content, SEO has always been about collaboration. It is therefore helpful to consider frameworks that can bring this idea to life and bring together the specialist skills required for a modern organic search campaign. We typically talk only about black hat and white hat in SEO (with the occasional mention of gray), but Edward de Bono’s Six Thinking Hats approach can add structure to collaboration. Each hat reflects a way of thinking and separates out the different functions required to achieve successful outcomes. These could be entirely different departments, different individuals, or even different mindsets for one person. The objective is to improve the collaborative process, but also to erode the fallibility of subjectivity by approaching every challenge from all angles before progressing. A well-known term for most SEO pros, White Hat thinking in this context depends purely on facts, statistics, and data points. This is the most objective way of approaching a situation. Who Should Wear This Hat? Data analysts and analytics specialists are typically naturals at adopting this approach. Why Is It Needed for SEO? Looking purely at the data is a perfect starting point for discussion. It keeps everyone focused on the objective truths of cross-channel performance. Data without context is meaningless, of course, so this approach in isolation lacks the color needed to understand consumers. The Yellow Hat approach brings optimism to the table, focusing on the potential benefits a strategy may bring for brands and the consumer. Anyone can be an optimist, so this could be a mindset that all parties take on for a period of time. Equally, this could be handed to one person as a responsibility; the key thing is to maintain some structure. We tend to have a lot of ideas, so it is easy to jettison some of them before their full potential has been explored. Taking an alternative view allows for full exploration of an idea, even if only to retain some of its components. The Black Hat is anathema to advanced SEO pros, but the concept does have value in this particular context. We can use this interchangeably with the “devil’s advocate” approach, where someone purposefully points out obstacles and dangers for the project. No one really, but be aware of the dangers of people offering SEO solutions and little transparency into the how. Keep an eye out for negative SEO attacks. The Red Hat approach relates to feelings and emotions, often based on the gut reaction to an idea. This can be very beneficial for a digital project, as we can sometimes be overly rational in our data-driven approach. It can be helpful to assign this role to someone who works closely with the target audience, or who analyzes and interprets a lot of audience data. When fighting for vital – and dwindling – consumer attention, first impressions matter. Content marketing campaigns can depend on getting this right, so it’s worth listening to gut instinct sometimes. The Green Hat brings creativity and spontaneity to the process, tackling challenges from a new perspective when possible. Where others see obstacles, this approach will see new opportunities. Anyone can be creative. However, it may be best to assign this role to someone who feels comfortable sharing their ideas with a group and is not easily disheartened if they don’t take off! There are best practices, but those only take us so far. They are a leveling force; new ideas are what really make the difference. In an industry, as nascent as ours, there are plenty of trails yet to be explored. The Green Hat brings that element of innovation to a discussion. The Blue Hat organized the thinking process and takes ultimate responsibility for bringing together the different strands into a cohesive whole. The project lead or the person closest to the brand’s objectives can help keep things focused. Project managers also have a natural affinity for this role. SEO is an increasingly diverse set of disciplines, which makes this role indispensable. To maximize the organic search opportunity, various departments need to be working in tandem on an ongoing basis. The Blue Hat keeps this collaboration going. Actual hats are optional, but may help the adoption of this approach. Opportunities to integrate more digital functions into the SEO process. Ways to learn new skills, both by doing and by observing. Integration of SEO best practices across more digital channels. A central role for SEO, without reducing the importance of other specialists. 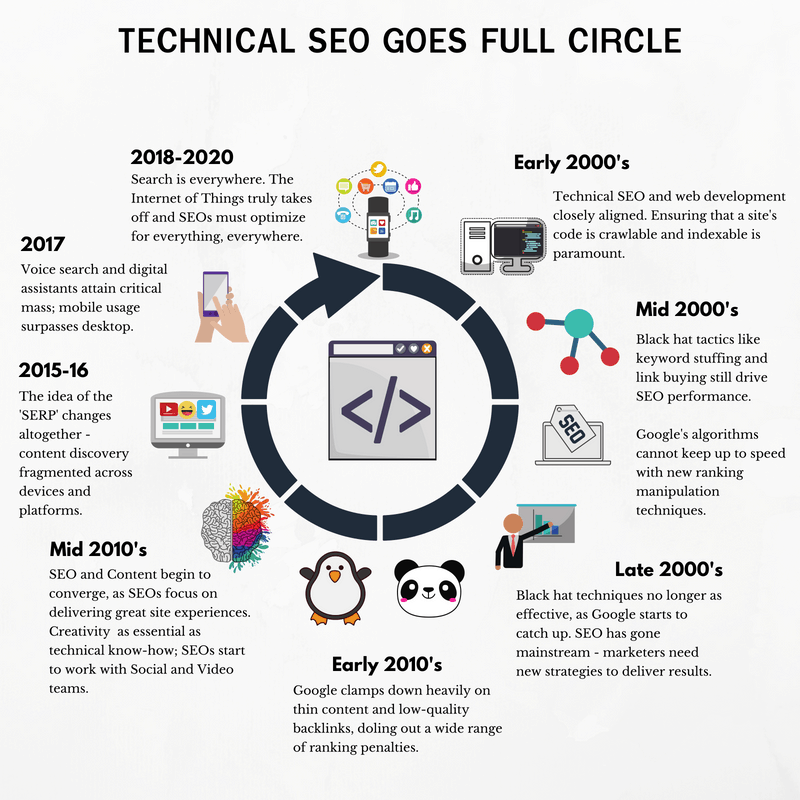 SEO has evolved to be part of something bigger and technical skills must be applied in a different manner. If anything, it has expanded into a much more sophisticated and nuanced digital channel that has outgrown the “Search Engine Optimization” category. The core tenets of organic search remain firmly in place, with technical SEO given overdue prominence as a driver of web, mobile and device performance. SEO professionals are often at the forefront of technological innovations and this looks unlikely to change in a world of voice search, digital assistants, and Progressive Web Apps. New approaches are required if we are to maximize this opportunity, however. That begins with the definition of what exactly SEO entails and extends to the ways we lead collaboration within our organizations. The level of technical acumen needed for success has changed back to the levels it once was. Vertical search engines (it’s not just Google anymore – think Amazon for example). The AI revolution is begging for more help from technical SEO professionals and data scientists to help drive it forward. If you act now and take a slightly different viewpoint on your role, organic search can assume a central role in both business strategy and cross-channel digital marketing. Get Your Guide to Advanced Technical SEO Now! 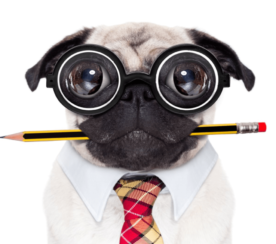 Mastering SEO fundamentals is only the bare minimum. If you really want to win against the competition, you must go beyond the basics. 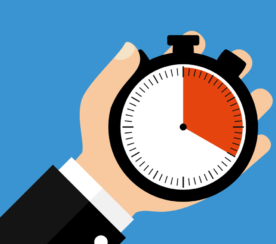 Ready to take your SEO strategy to the next level? Search Engine Journal’s ebook, Advanced Technical SEO: A Complete Guide, covers the most important and technical SEO strategies that every practitioner needs to know. In partnership with DeepCrawl, we created this detailed guide for SEO professionals who want to take a deeper dive into the more complex facet of SEO. Advanced Technical SEO: A Complete Guide is divided into 21 information-packed chapters written by some of the top experts in the industry. EXPERT AUTHORS INCLUDE: Benj Arriola, Aleh Barysevich, Andy Betts, Clark Boyd, Rachel Costello, Anna Crowe, Stoney G deGeyter, Sergey Grybniak, Jenny Halasz, Brian Harnish, Natalie Hoben, Jeremy Knauff, Roger Montti, Vahan Petrosyan, Chuck Price, Jes Scholz, and Amelia Willson. Learn the must-know advanced technical SEO techniques that will help you win today’s search landscape when you read Advanced Technical SEO: A Complete Guide.